Provided the authentication method Basic was selected, an automatic preallocation of the fields for the portal login dialog can be selected here. 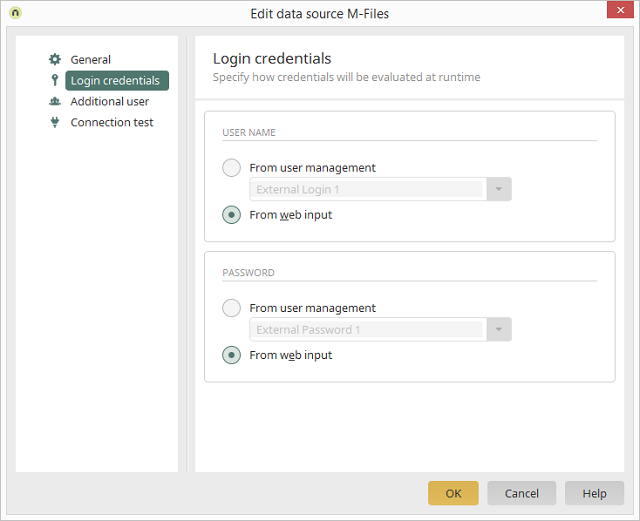 In this way, the M-Files username and password can be retrieved from a field of the Intrexx user, for example. If a preallocation should not take place, select this option.